Delicious gourmets frequently depend heavily on the quality of the cooking oil. However, there is a plethora of cooking oils available in the market. So, it can be fairly confusing when deciding on which one to purchase. Here are the tips to choose the best cooking oil for your health. Every type of cooking oil consists of different types of fatty acids, which are saturated fats, monounsaturated fats and polyunsaturated fats. And, the type of fat is what makes all the difference. Each of them behaves differently inside the human body. Generally, saturated fats are less healthy than unsaturated fats. Saturated fats increase the bad cholesterol, LDL in the body. An excess of LDL can lead to a deposit of plaque on the inner lining of arteries. Over time, the plaques will narrow, harden or completely block the blood vessels. Monounsaturated and polyunsaturated fats are healthy fats, for a multitude of reasons. Unsaturated fats are good for health as they help to reduce the levels of LDL cholesterol and increase the levels of good cholesterol, HDL, thereby reducing the risks of heart disease. Both monounsaturated and polyunsaturated fats are good in losing weight, reducing inflammation, building cell membranes and more. Besides, monounsaturated and polyunsaturated oils are found in abundance in plant-derived and vegetable oils. When choosing the best cooking oil for health, go for the healthiest kinds of fats- monounsaturated fats or polyunsaturated fats. The smoke point of cooking oil really does matter when it comes to choosing the best cooking oil for health. 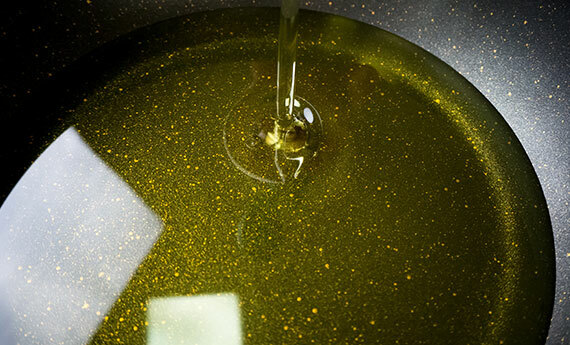 The smoke point of cooking oil is the temperature at which the oil starts to degrade and produce smoke. When the oil has started to decompose, it will produce toxic substances that can be detrimental to your health. Smoke points can vary based on the processing. Typically, refined oils have higher smoke points as the heat-sensitive impurities such as enzymes, minerals and other compounds are often removed through the refining process. As such, they are more suitable for cooking at higher temperature. However, less processed oils, or known as unrefined oils can’t stand up to high heat. As a result, they are best used for salad dressing, marinade or low heat cooking. When it comes to high heat cooking, you should opt for the oil with a higher smoke point, whereas cooking oil with a lower smoke point is recommended for low or medium-heat cooking. For instance, vegetable oils are one of the best cooking oils for health as they have a higher smoke point and great for all frying applications. Different oils have different qualities to fill different needs. Some are good for deep frying, some are best in sautéing or searing. So, it is important to choose oil with a high oxidative stability. Oxidative stability refers to the ability of oils to resist oxidation, retaining its natural properties. Cooking oils with high oxidation resistance are more stable for longer storage or when exposed to high heat. For instance, monounsaturated fats have high oxidative stability as compared to the polyunsaturated fats. However, cooking oils that are unstable tend to react easily with oxygen to form free radicals, even before they are being used. Free radicals are very harmful to human health as they can cause significant harm to living cell as well as DNA structure. Hence, it is best to choose the cooking oil based on your cooking needs. The right cooking oils offer numerous health benefits to the human body. Also, they are the major source of essential fatty acids. In short, good cooking oil not only helps to maximize the nutritional value of the foods but also enhances the flavour and aroma of the foods. Get the latest news on our products & services. Subscribe now! No. 28, Jalan Spring 34/31, Jalan Bukit Kemuning, Section 34, Shah Alam, 40470 Selangor.